Inspired by the intricate detail of embroidery and a love of beauty, Emma Lomax is a hand-crafted collection of high quality accessories. From a love of needlework that started at the age of 5, Emma has dedicated her life to her passion and learned her craft from the seamstresses of the Royal School of Needlework. Her love for hand-finished detail eventually turned into her very own business run from her kitchen table. 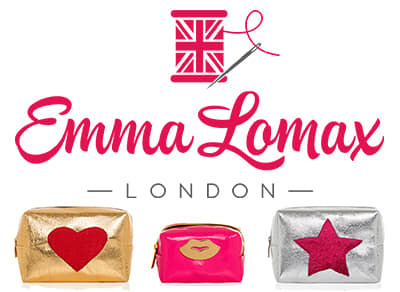 Made for beauty lovers by a beauty lover, Emma Lomax accessories are a timeless addition to your collection, each one slightly unique in its design.